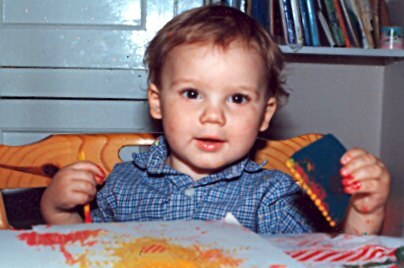 Alex was born in 1985 and has drawn and written stories since he could hold a pencil. After considering several career options (space traveler, cake maker, professional rabbit) and working as a production assistant for an outdoor theatre events company, Alex decided to train to do the job he'd wanted to do since he was five - an illustrator specialising in the world of children's publishing. Alex graduated with a 1st Class Hons degree in Illustration in 2006 and having won second place in the Macmillan Prize for Children's Picture Book Illustration in his final year, Alex begin working on his first commission as he put his degree show up! 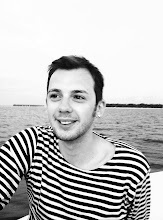 Alex is also the creator of the CLAUDE fiction series for early readers. The first title, CLAUDE in the City was selected for the Richard and Judy Children's Book Club 2011 and was shortlisted for the Waterstones Children's Book Prize in 2012. The first three books in the series are now published in fourteen languages across the world and a further three books will be hitting the shelves from October 2012. When not working Alex enjoys doodling in his sketchbook, reading, people watching and eavesdropping. He is also a big fan of cake and a nice cup of tea. He lives with and under the constant 'supervision' of his canine companions - two very tiny, very naughty chihuahuas (Coco and Mr. Bongo) and an ancient and very bossy Yorkshire Terrier - Lucy Locket. I'm trying to locate a copy of your book Gorgeous Georgia's Gardens for a friend who just had a little girl named Georgia. Do you know where I could get hold of one? UK based children's book author and illustrator. Works under the constant 'supervision' of two very tiny, very naughty dogs.